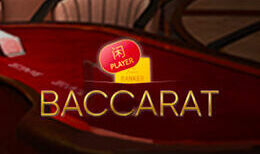 Enter the casinos of Las Vegas with this authentic live table games Baccarat experience. Played by live dealers who deal the deck in real time, this game enables you to indulge in the high stakes world of special bets and added extras with the ability to view the moves of your competitors. This is as close you will get to the casino floor without leaving your own home. Vivo Gaming prides itself on the fact it sits amongst the best live casino developers for creating software and solutions for the online gaming market. Their solutions include extending the availability of their games by enabling land-based casinos, making it possible for players to access their tables over wifi. Players also have the option of using shared tables from Vivo’s live casino studios that are based in Central America, Europe and Asia. For Vivo, it doesn’t matter if you’re a land based casino, operate betting shops or have an existing iGaming business, as a part of their philosophy, they will create a custom solution for you if their live casino solutions that already exist don’t match your needs. Baccarat has become an immensely popular game thanks to the film industry, such as the James Bond film series, where it is played frequently. Vivo have truly gone one step further with online casino games by giving their players the opportunity to play this game live, providing you with the next best atmosphere you can hope to attain outside of a casino, and instead of the comfort of your own home. Live Baccarat is played with 8 decks of cards that are regularly shuffled, and you will be playing in real time through a high-quality video stream. The game begins by placing chips on Player, Banker, or Tie positions, and the dealer will then present the cards to player and banker before you are given the opportunity to be awarded divinely with cash prizes. You may also place the following side bets: Either Pair, Perfect Pair, Player/Banker Dragon Bonus, and Big/Small. No need to fear over this jargon as Vivo have done an excellent job in explaining all of this, which you can keep up to date with during a live game too, to keep your memory refreshed. Aside from this, this casino game implements speedy bets, early draws, and game history, which means you are given the opportunity to access a real casino lounge from all angles. With minimum bets starting at just £1 and the max at £200, Vivo has thought of everybody in the development of this game. This is an ideal game for novice players who are new to the online Casino gaming industry and gambling. This is because Baccarat requires no real skill or strategy and instead, it is simply a game of chance and luck. All of this in addition to being able to access this live 24 hours a day, 7 days a week means that you are not restricted into playing at certain times, as well as a large chat box which encourages you to get to know people from all around the world and talk to the dealer themselves. This immersive atmosphere of having you imagine you are right there in a real casino lounge gives this online game the edge. Not to mention the £1 starting bet, this is a superb game to get you started up in the world of online casino games! Discover more live slot game for you here.